People today whether professionals or those doing business can easily promote their expertise on various avenues online. With the social networking sites in place, one can create a profile wherein he or she can showcase his skills, work experiences and even interests. But since many of these social media sites are already a few years old, it is highly recommended that one updates his or her profile on their preferred sites on a yearly basis. This is to ensure that your personal and professional details there are still in tune with what you do. Keep in mind that your social media profile serves as your resume which potential clients and employers might chance upon and read. Research has shown that in the U.S., for example, only 25 percent of Americans update their resume more than once a year while nearly 40 percent claimed they never update it feeling that they don’t need to. The same study done by HiringSolved, a recruitment firm, also revealed an interesting finding. It discovered that more companies are no longer using the traditional resume but are considering more an applicant’s social media profile. Regularly updating one’s profile online whether it’s a personal one or one’s company ensures your information are current and interesting. It’s also a way to tell your connections and potential clients of your new achievements and growth in your career. Statistics from Forbes reveal that many people change jobs every 4.4 years before they retire. Recruiters these days consider personal profiles posted on social networking sites as the new resume and a trend which they see happening this year. For them, they are more updated and accurate in terms of detailing a person’s credentials and expertise. Unfortunately, not all job seekers are searchable on the web. The HiringSolved study showed that 71 percent of survey respondents with social media accounts do not put their current job details or work experiences on their profiles. In addition, 40 percent refuse to change their social media profiles if they were looking for a job. In the event you change jobs, make sure to add the new one to your profile. By doing this, your friends and business associates will know you’re no longer connected to the previous one and avoid miscommunication. When you create a new website or blog or when the company you’re working for has a new website, do include the urls in your social media networks as well. This is an effective way for people to know more about you and what you do. The About section of your profile is another important consideration. You need to keep it current to maintain the interest of people in you and in what you do. You may include your new hobbies and interests, favorite books, quotes and upcoming projects. 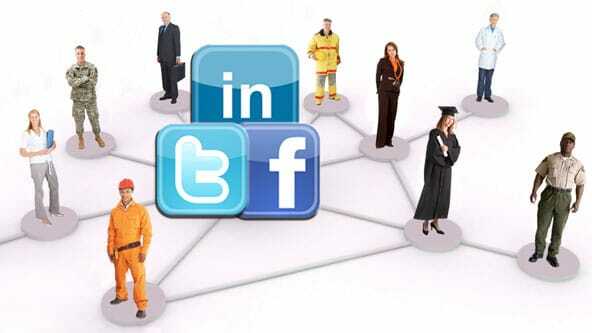 Profiles on Facebook, Twitter and LinkedIn are most effective when updated with fresh content. Take a few minutes then to refresh your information in there to attract more people and engagement moving forward. To have a thorough understanding of this need, you may do more research using the numerous freelance writing resources on the web.